CreateSpace Pre-Orders: The Secret No One Told Me! Whew! 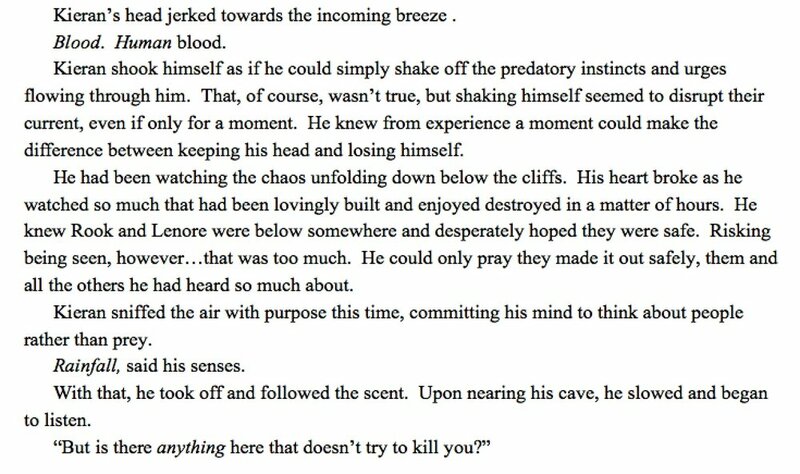 As I begin writing this, it's nearly 1:30am, and it has been quite the journey this evening. As in, still drinking coffee this late type of journey. Probably because most of this actually began a month ago. In the immortal words of Inigo Montoya, "Lemme start at the beginning. No, it is too much. Lemme sum up." CreateSpace is a great service. I really love it and have thus far distributed all of my books through it. There is no pre-order option, though, like there is through KDP. I've read a lot of really great guides that offer a fairly well known workaround, but none of them I've seen specifically address the fact that there's no extra button, no gap, between approving your proof in CreateSpace and the book going on sale in Amazon. Below is a guide for getting around this with a trick I have yet to find anywhere else. 1. Set up your book as usual in CreateSpace. a. Do not, not, NOT approve your proof on CreateSpace yet! That time will come. b. If you're a beginner to the process, not to worry. CreateSpace has made the process really easy and provides instructions all along the way. 2. Register for an account with Amazon Advantage. a. This is the US version. There are also versions for the UK and other countries. Unfortunately, I have yet to figure out how to deal with the banking side of these (they require information for banks within their own countries, which I do not have), so I have no advice to give for utilizing these sites. If anyone in the US has had success with this, I'm very open to your wisdom. b. You'll be required to enter a lot of information for tax, banking, etc. information. At the advice of some of the other guides I read, I just entered my own name/email/phone number into all the different department fields. Product returns will not be an issue, as you will not actually ship anything. Also, if for some reason you don't want to enter or don't have a bank account to use for the direct payment option, you should be able to choose to be paid by check. It doesn't matter either way, though, because money will not be changing hands here in Amazon Advantage. 3. This is where it starts to get tricky. Once you've finished registration and been approved as a vendor (this will take between 24 and 48 hours - mine went really quickly. I think I was approved in less than 12), you'll need to add your book as a sell-able item. a. When you set up your book in CreateSpace (step 1), you'll have received an ISBN (assuming you're not using your own). Either way, you need an ISBN for your book at this point. 4. Go to Items > Add An Item and choose "Book" from the Product Type dropdown menu. Now enter your ISBN number and click the "Next" button. 5. Enter all your book's details including the date you want the book to release <--this will be important later! 6. Again, there will be a waiting period for the item to be approved, 24 to 48 hours as the given standard. After that, your book will appear on Amazon with a pre-order option. Hooray! We're halfway there! 7. Now would be a good time too add your book cover as well, as that is not an option when you first set it up. The requirements are a bit strict, so be sure to read all the parameters listed and follow them. a. Specifically, the filename has to be named [ISBN#].MAIN.file extension. Where I've typed [ISBN#] is where your ISBN number will go, and the file extension will be the type of file you've saved (e.g. .jpg, .png, and so on). b. Once again, your cover will have to be approved...same timeframe as everything else so far. 8. Right, so now that that's done, you need to wait for orders to start coming in. Amazon Advantage will email you when you start getting orders and tell you that you need to approve said orders. In order to do so, log into your Amazon Advantage account and click on Orders > Purchase Orders. Then click "Confirm New POs", which will load a new page. When that page loads, click the order number and then the "Update All" button. Choose the option for "Cancelled: Not Yet Available" from the Status column and then select your release date for the new date option. Then you can just save/submit the information. a. I submitted a preorder for my own book via Amazon.com in order to be able to observe the process as a buyer, which turned out to be really informative and helpful. 9. HERE IS THE BIG DIFFERENCE!!! <--See: "My painful learning experience". I needed copies of my new books for a couple of different things. About a month before the book actually released, I held a pre-release giveaway and featured my books in a local book festival. You can't order books until you approve your proof, though. Because I hadn't yet learned my special trick, which I will reveal in a moment, I ended up paying a buttload of extra money for express printing and shipping. Not happy. Because I am not afraid to try things that might be huge mistakes, I went ahead and approved my proof in CreateSpace at the beginning of October, BUT I turned all my sales channels off. I repeat, turn all of your sales off when you approve your proof! This allows you to continue to receive preorders for your book through Amazon Advantage while simultaneously giving you the ability to place orders for your book. WINNER!!! 10. You will keep cancelling orders in the same way as described above until just a few days before your release date. a. Wednesday night (October 26th) - I turned my sales channels on in CreateSpace. Yes, this ended up putting the print book on sale a day early, buy that's not bad timing considering how wonky this process is to begin with. b. Also Wednesday night (October 26th) - I created a support case with Amazon Advantage and simply explained that I was not going to sell my book via AA and would use CreateSpace instead. Seriously, it was that short and simple. c. Thursday (October 27th) - I received an automated message from Amazon.com to let me know that they now had a delivery date for the preorder I placed for myself. The email stated the delivery date was estimated as November 1st. However, Amazon's site is now telling me I should receive it by 8pm today, so that's great news! d. Also Thursday (October 27th) - I received a response from the Amazon Advantage customer service team to let me know exactly what steps I needed to follow in order to have my orders go through CreateSpace instead of AA - basically change the title status to Close in AA by clicking on the Items tab, clicking "Update Item Status" in the navigation bar, entering my book's ISBN to identify the item I wanted to close, and then just saving the changes. I did so, and several hours the "Preorder" button had changed to the usual "Add to Cart". Score! We are on track! e. Friday (October 28th, RELEASE DAY!) - I received an automated email from Amazon.com to inform me that my copy of "Out of the Shadows" had shipped. WOOHOO!!! I would be remiss if I didn't include links to the two guides I used to walk me through this process for the first time, so they are here and here. I'm not gonna lie, this process has been stressful...really stressful, but I feel incredibly gratified at figuring out this little workaround. I can only hope it helps you as well. 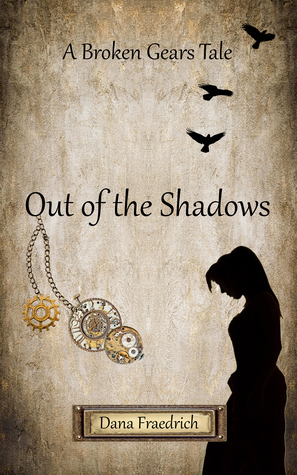 Out of the Shadows Pre-Release Giveaway! You can win a pre-release copy of Out of the Shadows! Goodreads link below. A thief hiding in plain sight, an oath and a debt with severe consequences, a family with secrets, and one very troublesome procyonid. Steampunk meets fantasy in this exciting story of deception and discovery. The first in a brand new series! Mark your calendars! "Out of the Shadows" drops on October 28th, 2016! Steampunk, sci-fi, and fantasy all converge in this new series, Broken Gears. Special pre-order price for the Kindle version (available here) is $0.99! The print version is also discounted to $10.99 here if you order before the release date. Prices will increase on October 28th, so order now! Wondering what the book is about? Of course you are! The New Age The darkness of the Old World is gone. No more deadly creatures or magic to keep the people subjugated in fear. The world today is rife with opportunities for progress. The technologies of the Old World can be rediscovered and built upon, cities are maintained, people have the freedom to forge their own paths, and order is kept by the Enforcers. The light of the Dawn Age has burst forth in a brilliant blaze, illuminating the possibilities of the future. Happy New Year! Homeless, orphaned, living in secret as a thief Lenore Crowley just wants to survive, but the city of Springhaven has no sympathy for cases such as hers. She chose her path, and the consequences are hers alone. Being caught would mean certain death; her odds of survival are beginning to look bleak. When she meets the Allens, she s offered a new life. In a world where debts and oaths carry very real weight, however, this second chance comes at a price. Lives entangle, and Lenore soon find that her secrets aren t so secret. Someone is looking for her, someone who knows who she really is. One wrong move and everything around her might fall.